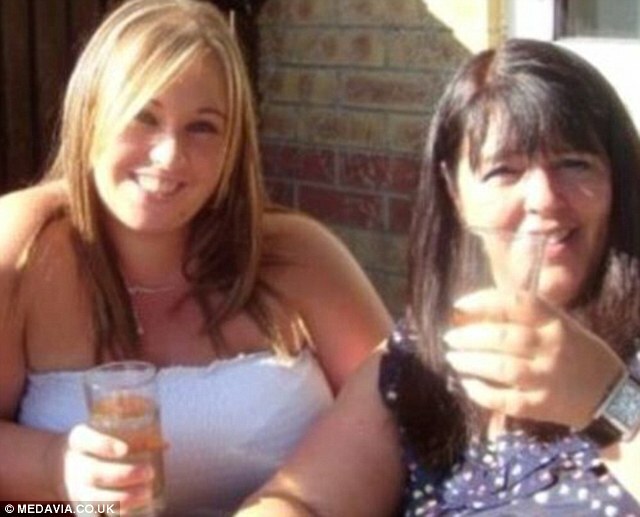 A mother and daughter team lost an incredible 17 stone between them by supporting each other through their shared weight loss journey. 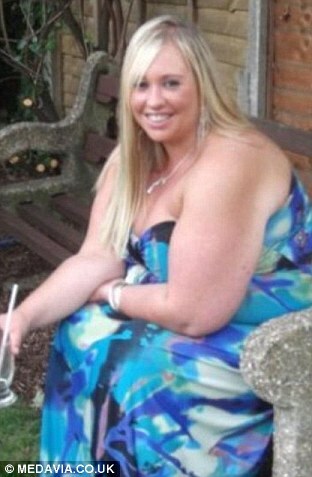 Rebecca Whiteway, 32, shed 11st 7lb by ditching takeaways and fatty snacks – and now weighs less than she did during her school days. Her mother Debbie Whiteway, 55, who joined her local Slimming World at the same time, dropped 6st 3lb and has brought her diabetes under control by improving her diet. 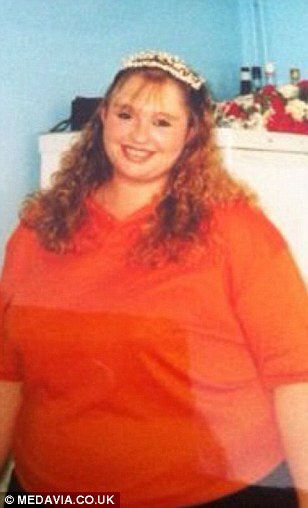 Mother-of-three Rebecca, who at her heaviest weighed 22st and wore size 26 clothes, said the humiliation of not being able to fit on to a roller coaster at a theme park was the final straw. While Rachel, who weighed 15st 10lb and wore size 22 clothes, said she was motivated after being diagnosed with type two diabetes after years of putting on weight. The pair, from Southampton, who both suffered health concerns due to their weight, decided to change their bad eating habits and joined Slimming World together. 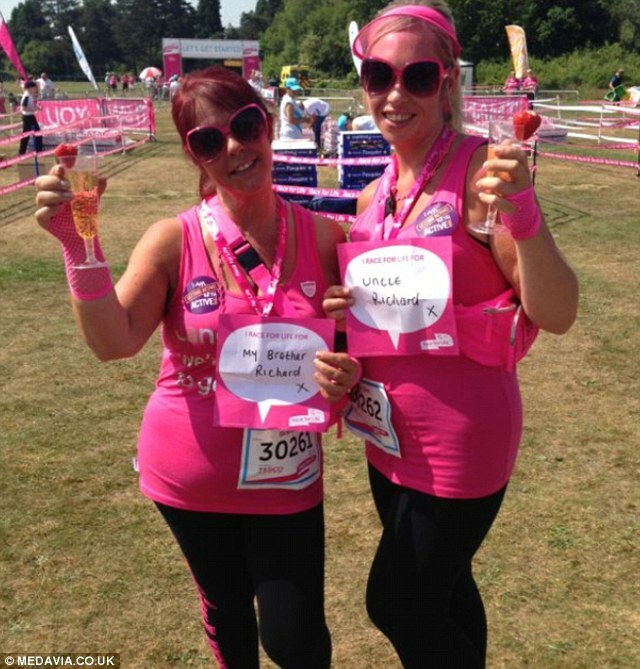 Rebecca now weighs 10st 7lb and wears size 10 clothes, while Debbie weighs 9st 7lb and also wears size 10 clothes. Rebecca said: ‘If mum hadn’t come with me to the meetings, I would have given up within a month. ‘The first 12 weeks in a healthy eating programme are absolutely crucial, and I had tried before without lasting success. Rebecca mother to Callum, 14, Josh, 12 and Lara, 9, was diagnosed with a blood clot in her leg brought on by circulation problems. She said: ‘I developed bad eating habits at school, when I used to spend my pocket money on sweets and chocolates. By the time I was 15 I weighed 16 stone. ‘Having children made it even harder to control my weight. 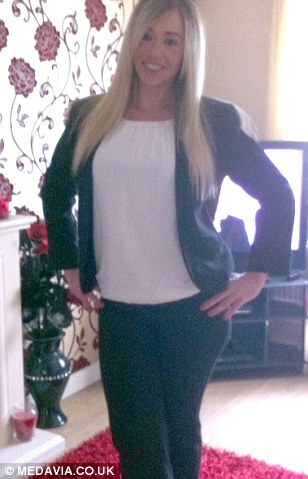 After I had Callum I put on four stone which I couldn’t shift, no matter what fad diet I tried. ‘I started experiencing terrible pains in my legs which I couldn’t explain. ‘I was diagnosed with a genetic condition which caused me to be susceptible to clots, and because I was carrying a lot of excess weight in the lower half of my body, the pain was likely to happen again in future. The humiliation of being unable to fit onto a roller coaster at Blackgang Chine, a theme park on the Isle of Wight, in the summer of 2011 proved to be the final straw. She said: ‘Josh was really keen to go on a ride but the attendant couldn’t pull the bar down over me, so we had to get off. ‘I told my partner at the time that we didn’t go on the ride because Josh had changed his mind at the last minute. Debbie, who is also mother to Rachel, 30, and Grant, 22, was diagnosed with diabetes in the summer of 2012. 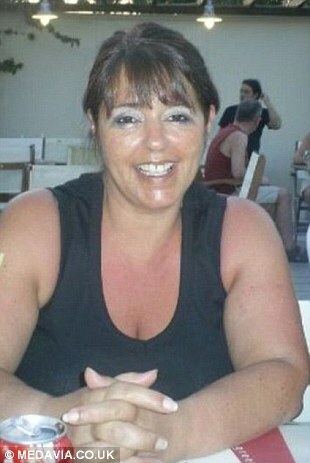 She said: ‘I went on holiday to Tenerife two weeks after the diagnosis and had a thoroughly miserable time.